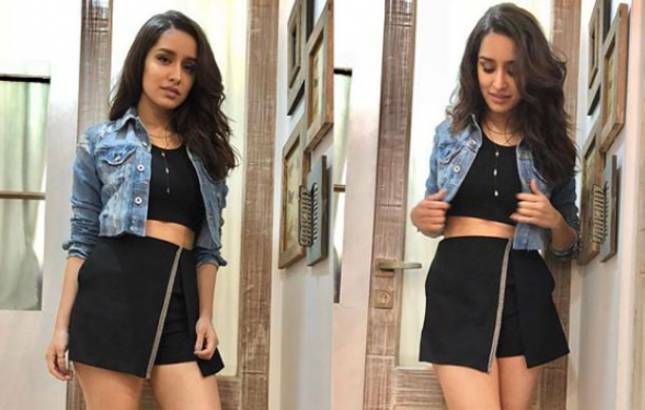 Shraddha Kapoor has been the talk of the town ever since the lady has been roped to play the lead in Saaho which will mark her debut in South Indian film industry. Shraddha Kapoor has been the talk of the town ever since the lady has been roped to play the lead in Saaho. The movie, which stars Baahubali star Prabhas in the lead, will mark Shraddha's debut in South Indian film industry. While the actress is ecstatic to be a part of this much talked about movie, we have got a glimpse of Shraddha's first look from Saaho. Reportedly, Kapoor's make-up artist Shraddha Naik shared a picture of the Aashiqui 2 actress from the sets of Saaho, which is touted to be Shraddha's first look from the movie. In the picture, Kapoor is seen sporting a purple shirt and dark grey checked trousers. Interestingly, there have been reports that Shraddha's character will be having grey shades. in fact, Prabhas even stated that the diva will also be performing stunt sequences in the movie. Indeed, it will be surprising to see the bubbly diva in an action-filled negative role. The media reports suggest that the Saaho team will be shooting the action sequence in Dubai, while some parts of the movie will also be show in the locales of Romania. Helmed by Sujeeth, Saaho will be Prabhas' first release after Baahubali 2 and the movie is likely to release in early 2019.